50,000 Strong in St. Louis! Hope I can get in. I have a feeling there will be a huge crowd. Even if I have to come by myself. Looking forward to seeing my Red friends Sunday in the Lou! So looking forward to seeing Sammy. Missed him last year due to being hospitalized. So plan to make up for it during the time he plays this year in Forest Park. Will be one jammed pack place!!!! For those of you around the country that don't know, next Sunday Night in St. Louis is going to be EPIC!! Fair St. Louis, (The V.P. 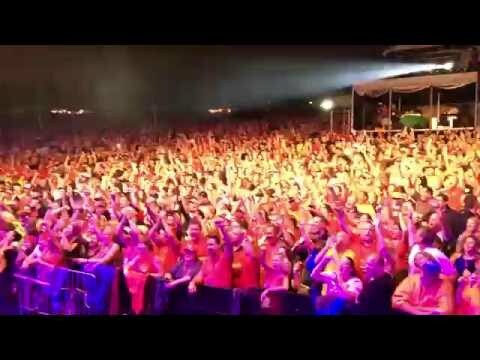 Fair) is without a doubt the best 4th of July Celebration in America and to have St.Louis' Favorite Rocker and Adoptod Son, Sammy be a part of it is AWESOME!! A Festival that is usually held beneath the Iconic Arch, but due to renovations is being held in Americas' Largest City Park, (Sorry New York but it's true), and on Art Hill where we all have gone sled riding, it is going to be so Great! I can't wait and I hope we set a new World Record for attendees at a Sammy Show anywhere. If I were a betting Man, I would Bet on it as a Sure Thing. There's Only One Way To Rock St. Louis and it's coming soon!! Hey Sammy, we will see you in the Lou.Thank You for playing in the best Damn rocking baseball town in the world. Can't wait. Haven't seen Sammy in 8 months at the "Are awe Having Fun Yet" book signing. Pam and I are so excited, we love Sammy and the circle. Do you need a ticket ? Where do you get them ? Sammy playing the Fair its going to be a great show!!!! I am going! Cannot wait! rented a van... got 15 of us redheads from Cincinnati to rock out with Sammy!!!!! CIRCLE in ST LOUIS! ROCK ON REDHEADS!! will definitely be there! can't miss my RED ROCKN HERO in my hometown! what a great show it'll be! Looking forward to meeting some of my Redhead friends from facebook!! Never miss a Sammy party! For those that haven't seen him in a long time, get to St Louis on July 3rd, or you'll be sorry you missed it. And he has The Circle with him...BONUS!!! I can't wait. The last time I was able to see Sammy was the 2004 Reunion. It has been a long time since I was able to see Sammy. It was in 2004 with VH in Biloxi MS. I was able to be in the Golden Circles. I can't wait until July! Road trip from Ohio to see Sammy rock!! I can not wait for Sammy to rock our world again here in St. Louis!! !